C. Jai Ferry grew up in a small rural town in one of those middle states between New York and Los Angeles. She focuses on short stories with brutally honest narrators who likely need some form of professional help. Her first novel is scheduled for publication in late 2014. 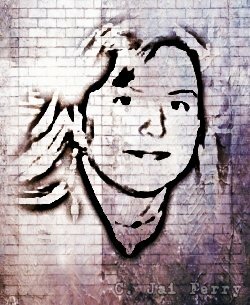 To read free short stories and get information about new releases, check out www.cjaiferry.com. You can follow her on Twitter @CJaiFerry, or purchase her books on Amazon here. 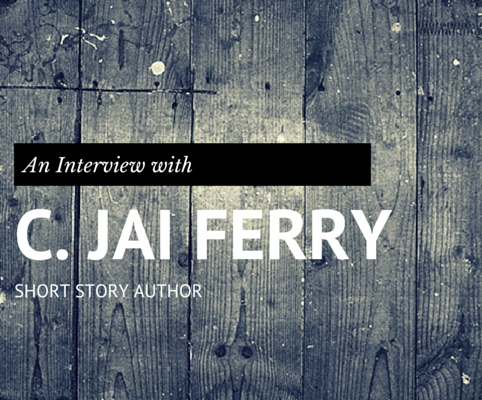 In this interview, we gain more insight on how C. Jai creates such unforgettable characters, how she pushes herself to improve her writing, and how she tackles short stories vs. novels. Wow. Now that’s a question that can get me in trouble! Certainly some of my characters are people I know or are modeled after people I know, but I exaggerate certain characteristics (primarily flaws) so much while suppressing others that they might not be recognizable anymore. The majority of my characters include a little bit of inspiration from others (perhaps a nervous tic or turn of phrase that I heard someone use once) and a whole lot of filling in the blanks from me. I love exploring the grey areas in life and the masks we put on for others. One of my favorite approaches to creating characters is to people watch and zero in on some random person, then ask myself: What is he or she really thinking right now? And in my world, people are always thinking something deliciously atrocious. It’s my job as a writer to then take such depravity at the core and add layers until it becomes a character that readers can empathize with (whether they want to or not). Humans are so wonderfully complex. Even “good” humans have evil thoughts and “bad” humans have redeeming qualities. Those are the characters that fascinate me. Do you let the plot or the characters drive the story and why? Characters, definitely. I’ve tried working on plot-driven approaches, and my attempts feel flat to me. I guess I have written a few stories where I have a setting and I know what is going to happen, but then the characters totally take over and make it their story, driving the plot after the initial idea (often in completely different directions than I expected). It’s just too much fun to let the characters have the run of the story, and they can always come up with more interesting plots than I can. What do you like the most in writing short stories? Instant gratification. I love the feeling of accomplishment when I am able to complete a first draft and see the story coming to life, and I need to feel like I have finished something every day or I end up flailing around and getting nothing done. When an idea takes hold, I can usually get the first draft out in a few hours. I have written novellas and have two novels that are almost done, but they’re so exhausting to write and when I get done, my feeling of achievement is often overshadowed by the need to shower, sleep, become human once again…. I also think that short stories are an incredible medium for experimentation, especially in the ever-changing world of social media. I am fascinated by how writers are using changes that are happening in our society right now to influence their writing. Those writers who are using social media in innovative ways to tell their stories — those are the ones I am watching. What is the biggest challenge in writing short stories? For me, the biggest challenge is knowing when the story ends: Have I written the full story or is there more to it? When my writing/critique partners (mostly novelists) tell me they want more in a story, I have to dissect whether the story truly has come to its end or not. Sometimes my partners just want more of the characters; sometimes I need to push the story further. I’m pretty good at playing the “but this is a short story, not a novel” card, but I have learned that is never a good card to play. Forcing myself to push the story further has resulted in some of the stories that I am most proud of. Love the vulnerabilities you show in all your dark characters. They make them human and likeable. It seems like it is easy for you to find the vulnerabilities. Is it really easy, or does it take you a lot of time to find them? Vulnerabilities are a dime a dozen — we are human after all, right? We’re brimming with vulnerabilities. Society is quick to hold up a murderer as a monster, but he is still human. He still feels sadness, pain, loneliness, love, joy, etc. One of my favorite parts of writing is finding the unlikable character and making him likable and vice versa. For example, I recently wrote a story about a grandmother, and she was everything that grandmothers are supposed to be: a doting refuge from one’s parents, a baker of goodies, maybe a little old-fashioned but still someone who spoils the grandkids. The grandmother I wrote was all of those things, but in a very unexpected (and disturbing) way. The hard part (for me) is finding the right vulnerability and the right balance for the character. A woman who has just found out she has inoperable cancer can be riddled with vulnerabilities, but we don’t want her to be so vulnerable that she’s just weak and pathetic. A bully can have vulnerabilities that make the reader feel that all his bullying is justified, but that’s not an interesting story either. There are so many times when we draw a line in the sand and say this side is good, that side is bad. I like to go in and fudge the line a little, nudging it one way or the other — or just erase it altogether! Thanks for this — the questions really made me think! And thank you for your time, C. Jai! Purchase C. Jai Ferry’s books on Amazon. Great interview and a lot of helpful information on creating characters! Thank you so much for letting me participate. I am thrilled I found such a wonderful support system for short story/flash fiction writers and readers. To see the inner thoughts of a writer is one of the best gifts to a reader. I have read C Jai’s first in the series and I’m looking forward to the novel. Love the social media aspect for writing. Can’t wait to hear more on that. Excellent interview. I’ve read a few of C. Jai’s works and they always have me wanting more! Great twisted plots that keep the reader thinking. Great interview, great information. Thanks for the great feedback, all! We were happy to have you featured here, C. Jai!